Apply for £2000 match-funding today to grow your business – less than 30 days left to apply. SoftServ provides information, help and advice on Eque2, Sage and Easybuild construction software to construction companies across the UK, delivering with installation, configuration, implementation and training. Steve Tees, Director of SoftServ with 40 years’ industry experience, was looking to treble income within 12-18 months, however he recognised that he had a gap in his marketing skills; not knowing the best way to market, Steve applied for a Growth Voucher in the Marketing, Attracting and Keeping customers category. The Brand Surgery supported SoftServ by delivering a full day marketing consultation and a 30 page step-by-step marketing strategy, including an online competitor and threat analysis which revealed that SoftServ’s company website, and the software programs they offer, don’t appear in online searches. This consequently raised the question of whether SoftServ was missing out on business, so The Brand Surgery recommended that SoftServ should start offering services using the more popular software as well as its current software; therefore broadening its offering and hopefully attracting more customers. 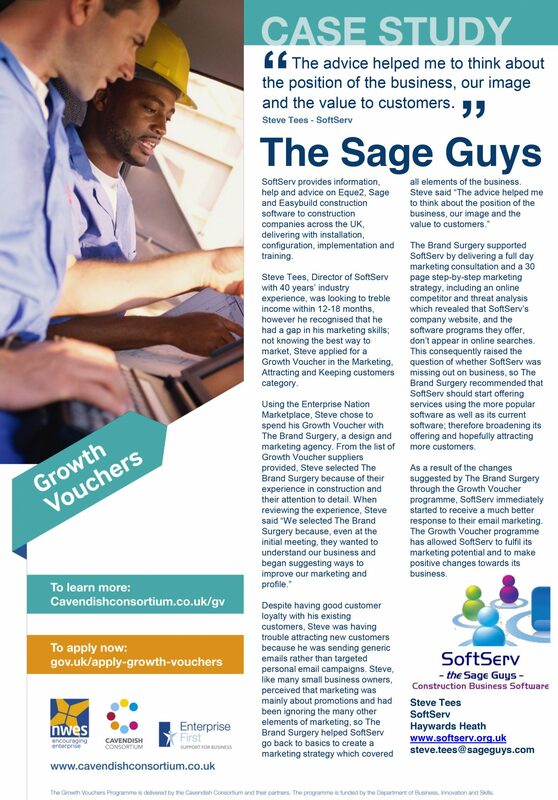 As a result of the changes suggested by The Brand Surgery through the Growth Voucher programme, SoftServ immediately started to receive a much better response to their email marketing. The Growth Voucher programme has allowed SoftServ to fulfil its marketing potential and to make positive changes towards its business. 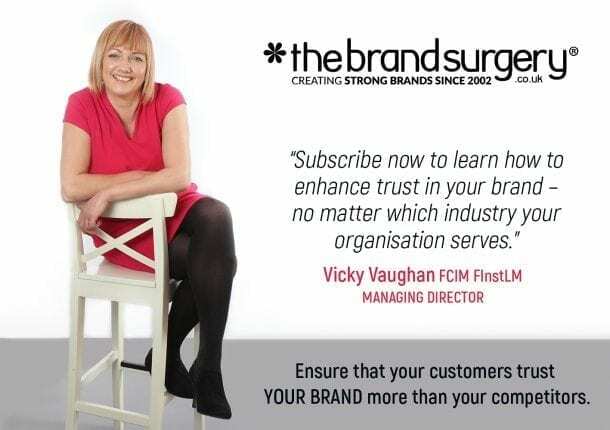 Call Vicky Vaughan, Chartered Marketer at West Sussex’s number one marketing agency, The Brand Surgery on 01903 824229 if you would like to discuss Growth Vouchers.